Ornamental shrub with purple leaves and small yellow flowers. This euphorbia reminds the cold-temperate shrub named Cotynus. It is easy to grow in full sun. 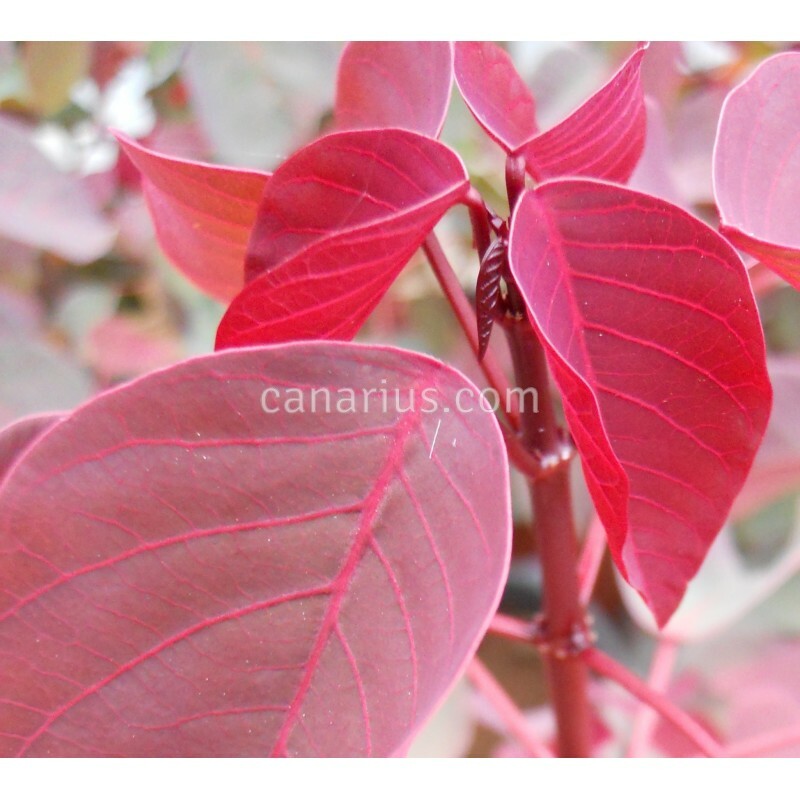 It is deciduous in winter and it tolerates drought, pot colture and hard winter pruning. Euphorbia cotynifolia is an ornamental shrub with purple leaves and small yellow flowers. This euphorbia reminds the cold-temperate shrub named Cotynus. It is easy to grow in full sun. 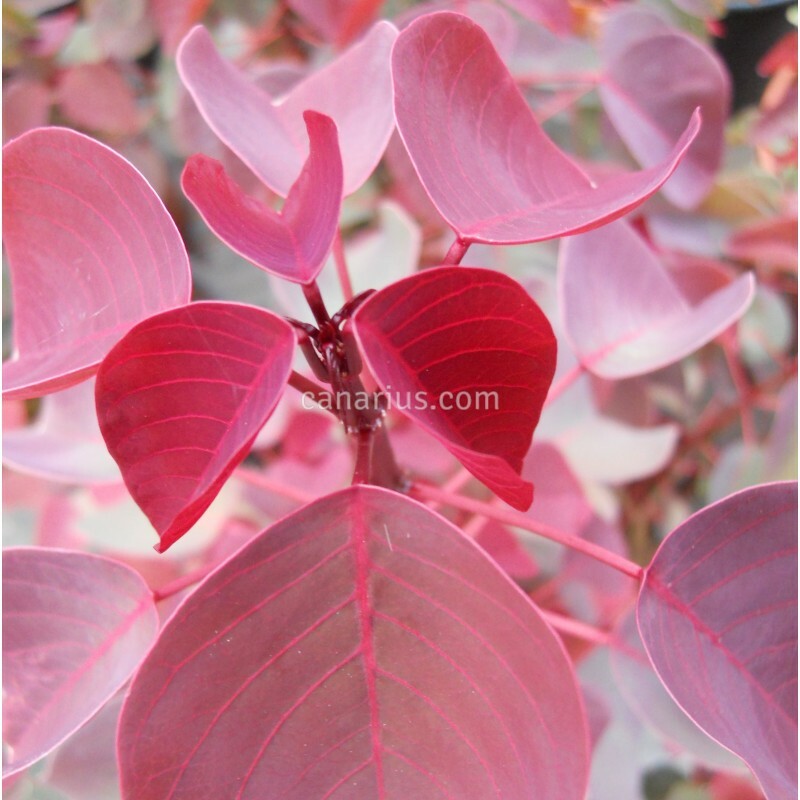 It is deciduous in winter and it tolerates drought, pot colture and hard winter pruning. It can live outdoors in warm mediterranean to tropical countries. 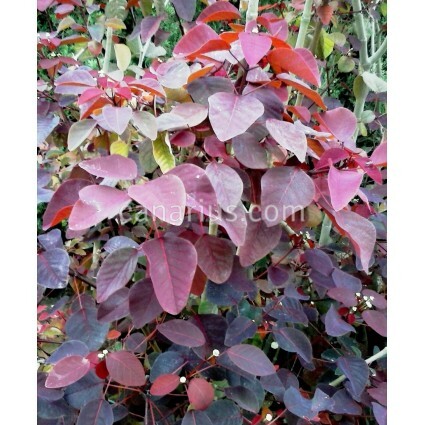 It is often seen as a 1-2 m tall shrub but in lucky locations it can eventually become a small tree, up to 5 m tall. We ship a large plant cultivated in a 16 cm pot. This shrub is often too tall and it might be pruned for shipping. It will be leafless during the colder months.